Al Weinrub notes that utilities have hampered community choice. Just as Alameda County was launching a new, publicly owned electricity service offering greener electricity at lower prices than PG&E, state regulators put a big new obstacle in its path. A little-noticed decision in October by the California Public Utilities Commission will raise the monthly "exit fee" that customers of East Bay Community Energy and other "community choice" programs have to pay to utility companies like PG&E. The fee is intended to compensate the companies for "unavoidable expenses" they incurred to procure electricity for customers who now buy their electricity from community choice agencies. But environmentalists say the higher exit fees threaten the viability of community choice agencies like East Bay Community Energy, which offers renewable energy sources to residents and businesses in Oakland, Berkeley, and nearby cities. CPUC commissioner Carla Peterman, who proposed the plan, said the changes "insure a more level playing field between customers," so those who stay with traditional utilities "don't get stuck paying back the costs for power that was bought for customers who now are served by community choice." But advocates of community choice call the new formula unfair and dangerous. According to a letter from 120 public officials — including the mayors of Oakland, Berkeley, Richmond, Albany, San Francisco, and San Jose, along with many members of Bay Area city councils and county boards of supervisors — it "would significantly and unfairly increase exit fees charged by big corporate utilities and threaten current and future community choice energy programs — the very programs that are helping the state exceed its emissions-reduction targets." Four Bay Area community choice agencies — MCE, Sonoma Clean Power, Peninsula Clean Energy, and CleanPower SF — have joined several statewide advocacy organizations in petitioning the CPUC to reconsider its decision. A spokesperson for the CPUC said it will "consider the applications and make a determination." The CPUC argues that raising the fee — technically called the "power charge indifference adjustment," or PCIA — would mean only a small increase in customers' bills. But according to the public officials' statement, that small increase could "significantly jeopardize [community choice programs'] ability to invest in long-term renewable resources and customer programs." Nick Chaset, CEO of East Bay Community Energy, told the Express that EBCE is "very disappointed" with the CPUC's decision. "We feel like they did not provide enough analysis to justify their plan and very little analysis of the impacts of the wholesale changes they made." He also said that the commission has not yet set the PCIA rate for 2019, so "we don't know what we're on the hook for." The new PCIA will lower electricity bills for customers of utility companies and raise fees charged to community choice customers. This threatens the whole business model of EBCE, which pegs its rates at 1.5 percent lower than PG&E. "We remain committed to delivering lower-cost green energy," Chaset said, although "we may have to narrow our discount." The higher exit fees will leave EBCE will leave with less money for operating expenses and community programs. "Nothing has been decided yet" about how to meet this challenge, Chaset said, but "we will be looking at cost-cutting measures." Environmentalists say programs in other parts of the state are already changing their plans due to the PCIA hike. San Luis Obispo residents abandoned a plan to create their own community choice agency and decided instead to join Monterey Bay Community Power. That agency, in turn, suspended its plans to build local renewable energy. Several other community choice programs are planning to raise rates. Community choice programs are making a big dent in the traditional utilities' customer base. Peterman estimated that nearly half of the customers in PG&E's area will be served by community choice agencies in 2019. Statewide, 19 community choice agencies now serve about 8 million customers in 160 communities. CPUC commissioners say they support community choice and recognize its value in reducing California's use of fossil fuel. 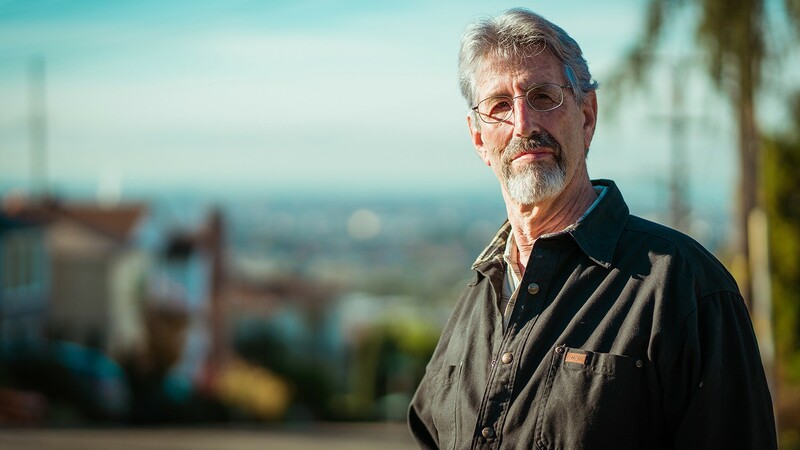 But community choice advocates like Al Weinrub of the Local Clean Energy Alliance suspect that by adopting the new formula, "CPUC is doing the dirty work for the monopoly utilities in trying to wipe out community choice." Weinrub points to previous efforts by PG&E and other utility companies to hamper community choice. They bankrolled a June 2010 ballot measure that would have required a two-thirds supermajority to create a community choice program. That measure, which failed, received $46.5 million in donations, the vast majority from PG&E. Although it's against the law for utility companies to interfere with community choice, Weinrub said, "They interfered all over the place," prompting the legislature in 2011 to pass SB 790, a law establishing a "code of conduct" for utilities in dealing with community choice. Arguments over the formula for calculating the PCIA are extremely technical, but emotions run high. In an October meeting, Peterman accused community choice advocates of making "misleading and often outright false statements." After the meeting, Weinrub characterized Peterman's remarks as "Orwellian double-talk." Some of the argument is about what counts as an "unavoidable expense" that the utility companies incurred to procure electricity for customers who then departed. CPUC commissioners said the old formula failed to include some legitimate expenses, such as needed ongoing investments in generating facilities that the utilities own. The new rule replaces the previous use of "benchmarks" to estimate costs with records of actual costs. And the new formula allows the PCIA to increase over time. Critics charge that the new formula lets utility companies make any investment or spending decisions they want with no accountability on the basis of information that's not available to the public. They say the utilities have paid inflated prices and made investments that were unwise because they already knew customers would be leaving for community choice programs. The formula adopted by the CPUC "reward[s] big corporate utilities for mismanaging their energy portfolios," says the letter from public officials. Weinrub speculates that the utility companies might even deliberately sell their extra electricity at low rates, so they could raise the PCIA. Allowing the PCIA to keep rising, critics say, also creates uncertainty that makes it impossible for community choice agencies to figure out how to set their own rates.